JCDecaux has expanded its portfolio of high impact locations with the launch of an iconic new structure, the Paddington Tower. Located on the A40, it targets traffic heading into the city. 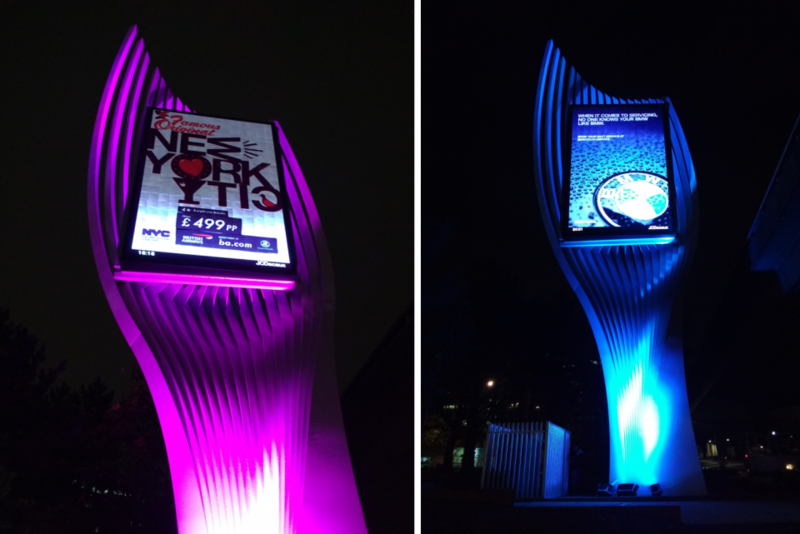 The tower features a 43m2 digital advertising space. 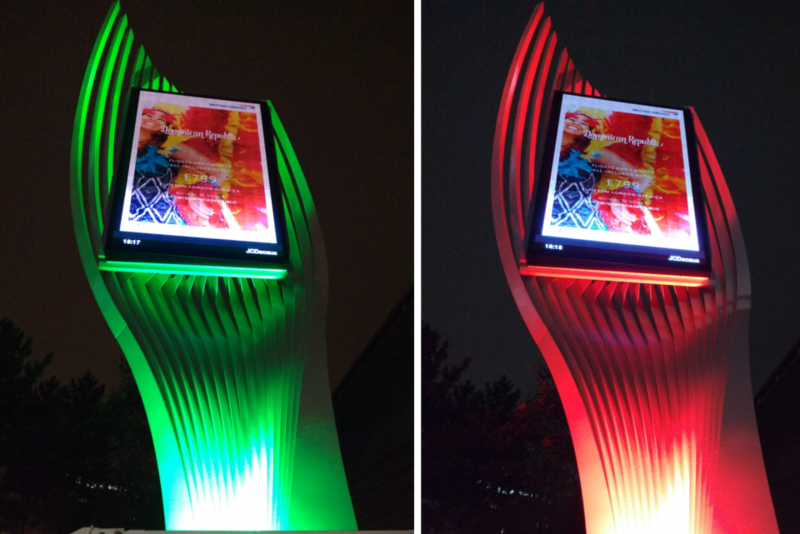 RGB illumination from Bright Green Technology is installed to dramatically increase the visual impact of the tower. The colour changing lighting system is comprised of three high power RGB floodlights, each controlled using the innovative amBX software system. Using amBX allows us to deliver real-time dynamic lighting effects driven automatically by the digital content. This gives JCDecaux the unique ability to change the appearance of the tower without having to create new lighting programmes.